Dexter Daily: Will Colin Hanks Return For the Season 7 Premiere? 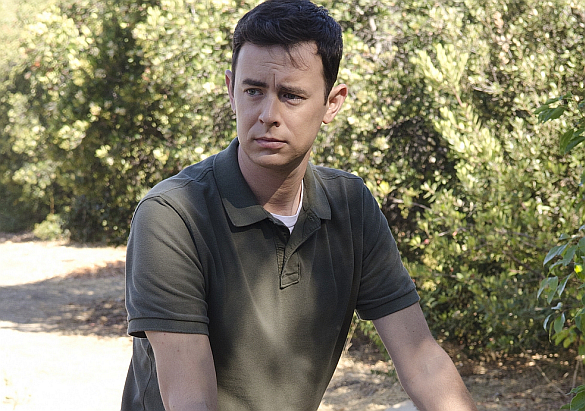 Will Colin Hanks Return For the Season 7 Premiere? With Dexter Season 7 beginning production in less than a month it is still uncertain if Colin Hanks return for episode 7.01 "Are You...?". According to some spoilers from executive producer Scott Buck, episode 7.01 will continue from where season 6 ended: Inside the abandoned church. Will Colin Hanks return to play (dead) Travis after the "Oh God"? Soon we will know it. What do you think? I say yes and I hope they rewind a little to see him get killed again. It would be easier if they'd film it 2011 when he was still on the set. I doubt it... seeing as Travis is dead it's more likely that they'll just use a dummy or something of the sort in his place... a dummy would probably be fairly cheaper than having to pay Colin Hanks for a 30 second to 1 minute appearance at the beginning of the episode. I hope he returns back. The show will be more interesting with his character being more dark and negative. I think that Colin Hanks will return to play the role of Travis in Dexter Season 7.